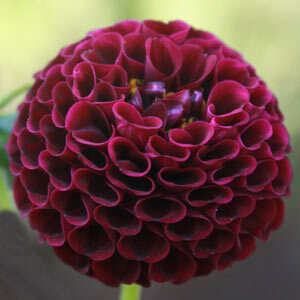 Like balls on a stick Pompon dahlias have fully double flowers with florets usually rolled up or 'involute'. They do look similar to the ball types however are smaller and are rounded. 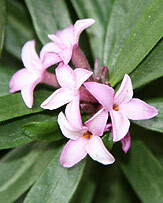 Individual flowers vary in size from 2 inches to 6 inches across, always tightly held with petals that curve inwards. They are great cut flowers and can make classical display in a vase or other arrangement. 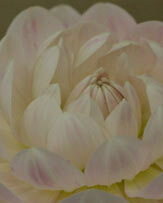 In dahlia shows they are judged in classes according to flower size. 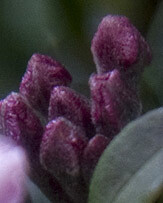 The flower heads should be perfectly rounded on a single straight stem. Hybridization of Pompons relates to flower size and form, color and strength of stem. Symmetry is very important. 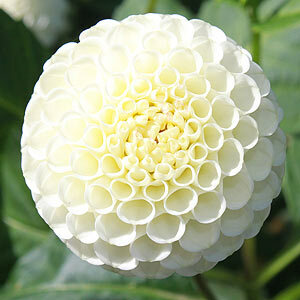 Pompons require the same conditions as all other dahlias. Although it is sometimes said that Dahlias will grow anywhere, if you want good flowers then you need to have good conditions. For best flowers, Pompon Dahlias should be staked. 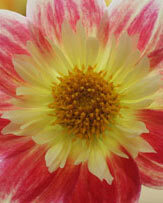 Dahlias are a plant that take nutrients from near the surface. Use a complete fertiliser, however one that is low in nitrogen as you are trying to grow flowers, not foliage. Fertiliser is best applied in spring a few weeks before planting. Before planting dig the soil over to a garden forks depth, leave for a week and then dig over again. After the second digging apply the fertiliser and dig over a third time. Wait until the soil warms a little before planting the tubers. Tubers should be planted from between 12 inches and 24 inches apart. 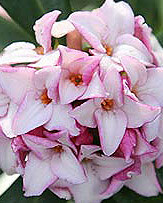 The smaller growing types can be planted closer together. 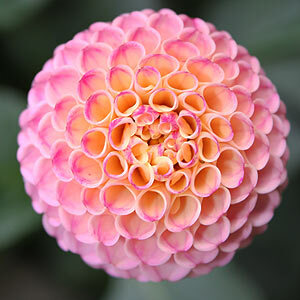 Available for sale as tubers during dormancy, Pompon Dahlias come in a huge range go colours from white through to yellow, pink red and deep crimson. Pompons fall into Dahlia classification Group 7.